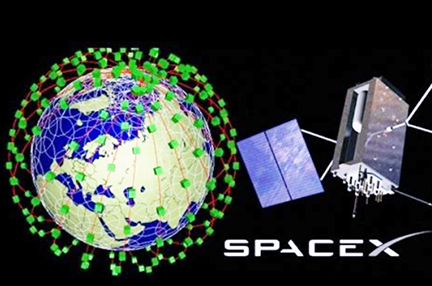 The Advanced Television infosite has posted an article that SpaceX is planning to launch thousands of satellites into various orbits in order to deliver broadband services to the whole planet — the first satellites will launch later this year, but there are some growing doubts. The IEEE’s report author Michael Koziol also cites anxieties about SpaceX’s overall chances of success, one of which is the wholly untested V-band (40-75 GHz) and the Very Low Earth Orbit (VLEO) of where SpaceX is planning to place a massive 7,518 satellites. The FCC has approved SpaceX’s V-band plan (on a “permit but disclose” permission) and which will see the constellation operating at altitudes from 335 to 356 km high.